Riding Beyond’s individual sessions are free to breast cancer survivors. Group sessions are open to any cancer survivor, friends, family and health care providers. 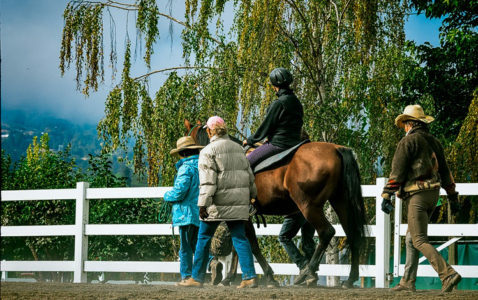 Behind the scenes and hands-on, volunteers make Riding Beyond possible. 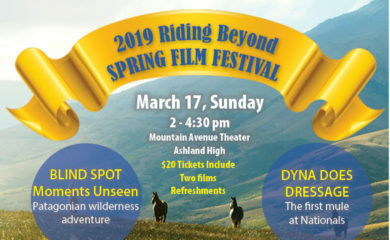 Riding Beyond attends to the after-effects of surgery, chemotherapy, and radiation treatment. Individual and Group Sessions begin in early springtime and continue through September. For those of us who have accompanied friends and family through breast cancer treatment or those of us who have made that journey ourselves, we are aware that once a woman has completed treatment, she has little assistance in attending to the physical, emotional and spiritual side effects that linger on, often for many years to come. Riding Beyond gathers women and horses to restore and revitalize everyone, horses as well as people. Read more from Riding Beyond participants. A free opportunity for women who have experienced the rigors of breast cancer treatment to revitalize their whole person emotionally, physically, and spiritually, through carefully designed, guided interactions with horses. Exercises (mounted or unmounted) in four sessions improve blood circulation and oxygenation, respiration and blood pressure, as well as balance, strength, and endurance. Other activities include poetry, story telling, music and powerful exercises to refresh body, mind and spirit, literally opening new neural pathways, based on cutting edge brain research.